The final was 89-66. Beat the spread (27.5). Also made the over with a 155 total, (149). I would have said no way UP scores enough to beat the over. So there is that. I enjoyed watching this game more than the two previous ones. UP was way overmatched, obviously, but they competed. If they played like that earlier we might have some W’s. What did I just watch. That seemed more like the team from early in the season. Apparently despite whatever problems they have playing as a team normally they can get it together against good opponents. If the coaching staff could figure out how to get them to play team ball and to their potential they'd have some conference wins already and could get some more. I'm not holding my breath though. Having once been a member of a dysfunctional team in another sport we somehow always got or **** together against the good teams were still managed to usually win, but we played like **** against really bad teams and not much better against average teams. Knowing we could play well never translated to doing so outside games where we had something to prove which is the only thing that managed to bring everyone together. Hopefully this was a month long funk and isn't that. 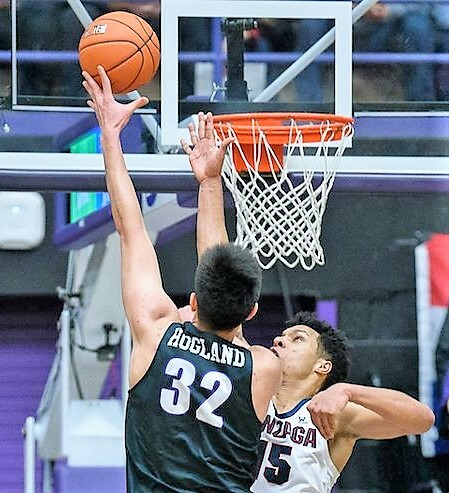 We knew it was going to be sold out, we knew Gonzaga is a top five team. So, we knew we had to bring the energy. Everybody was excited, pumped up. People were making shots today. Everybody had a good attitude and great energy. Everybody was getting after it. I’m just very proud of my team. They brought it today. Having grown accustomed to their uninspired play, it was not just encouraging, but exciting to see the TEAM play so well. I'm sure the statistics will prove otherwise, but I was honestly surprised GU won by 23 points as the game just seemed closer than that for the most part. Geezaldinho wrote: I enjoyed watching this game more than the two previous ones. Agreed on all these points. 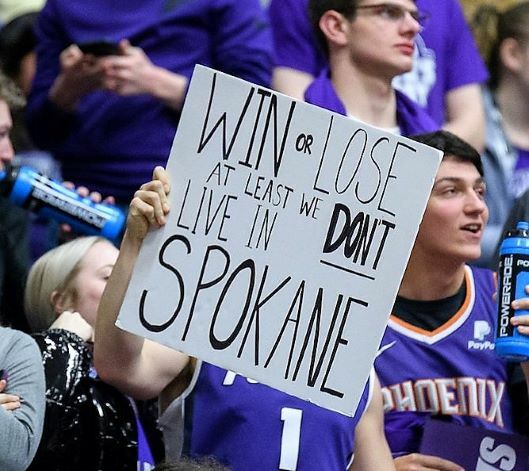 In all of the previous WCC games I've been cringing through most of the game as a result of the Pilots' performance. Last night was an enjoyable game, with good effort and some good stretches of execution, as well. The team pulled together for (one last?) good all-around effort, but I don't have much confidence that it will continue on from here. The team and program still seem to be in free-fall mode. 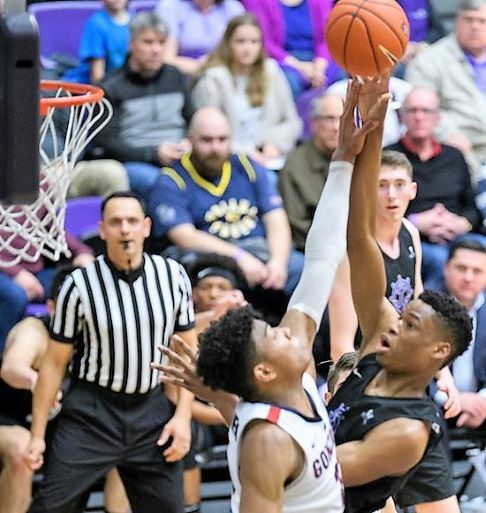 Even in the midst of a better-than-expected performance last night, the same issues that have plagued the Pilots all year proved to be the main issues preventing us from making a real game of it: giving up tons of offensive rebounds and second-chance points, extended scoring droughts and sloppy turnovers. GU had a 23-1 advantage in second-chance points. They almost doubled-up the Pilots in total rebounds, 41-22. We gave up 15 offensive rebounds and only collected 2. All of that adds up to 66 FG attempts for GU and 46 for the Pilots. Pretty much impossible to win when your opponent gets 20 more shots than you do. At the beginning of the season, I said somewhere on this board that I thought McSwiggan and Diabate would need to become consistent offensive threats for the Pilots to take a step forward this year. Last night those two combined for 8 points on 2-9 shooting. Their lack of development must be frustrating to the coaches. On the positive side: Clark didn't contribute much, but at least he wasn't an overall negative presence like he was on Thursday against USD (by which I mean he didn't waste multiple possessions with completely wild shots and turnovers); Tryon made TWO three-pointers! (but as a 7-footer, he's absolutely got to be bringing down more than one rebound per 8-minutes played, which is what he got last night); Hogland made some really nice plays in the post and pulled down some good rebounds -- but he still gets exhausted so quickly that he can't play extended minutes; Shaver was impressive again (but I've got to wonder what the dynamic is like in the locker room if it is true that he almost quit the team and has already announced that he will be leaving at the end of the year). As with every year, I don't understand how the "sold out" game has so many empty seats in the lower reserved sections.